Soil conditioners are additives you put in your soil to improve its quality for the plants you want to grow in it. 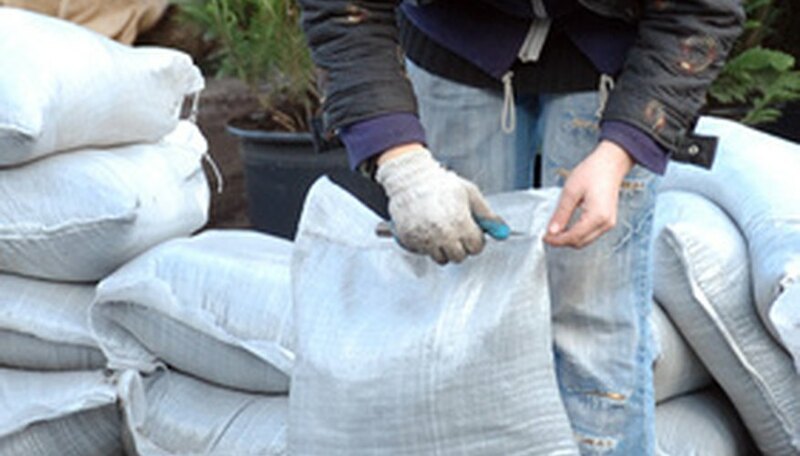 There is a wide range of soil conditioners, from manure and compost to lime and sulfur. Even mulch is a soil conditioner since it actively improves your soil. According to Cornell University, you should add soil conditioners before you plant your garden and then as often as you can after that, if you are using organic matter as a soil conditioner. Test your soil to figure out the type of soil conditioners you may need to use. Most universities have soil testing facilities at their horticultural departments. If your soil is too clay like, sandy, acidic or alkaline you will need to use soil conditioners. Measure your yard so you know how much soil conditioner to add to it. Most soil amendments measure in increments of 100 square feet, so you will have to lessen the amount considerably for a small yard or garden. Remove any large rocks and weeds from the yard. Till the soil to a depth of 4 to 5 inches. Spread the allotted amount of soil conditioner over your yard or garden--3 to 4 inches of compost and manure per square foot can be added to your soil. If you are using lime or sulfur, add about 1 pound every 33 square feet. Work the soil conditioners into the soil to a depth of 4 to 6 inches with the till or a rake. If you are amending the soil for a tree, work the soil conditioners into the soil to a depth of 3 to 4 feet. Use organic matter as a soil conditioner as often as possible. Do not overuse chemical soil conditioners or they may burn your plants.